A simple, short silver round based lamp. 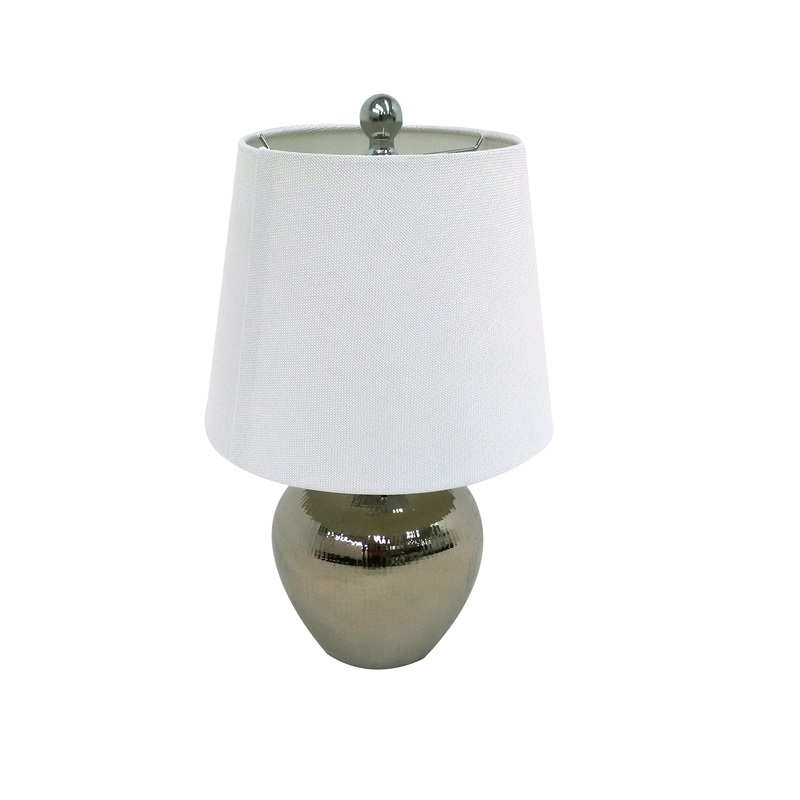 Perfect for those spaces that need simple lighting or in tight spaces. 8.25" x 8.25" x 22.75"